Learn the Importance of Healthy Digestion Supporting the Little One's Learning Process - Digestion is a body organ that has a very vital role. 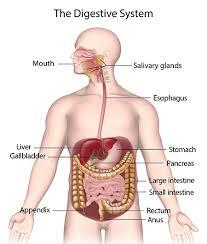 The food that enters, will first land in the digestive system. So, if there is a problem with digestion, it will affect the other organs of the body. If this happens to your child, not only is your health disrupted but also the learning process. To know more about the importance of healthy digestion, see the following review, Mam. Children are always interested in many new things they meet. In fact, they sometimes put anything in their mouths. Germs and bacteria that enter through the mouth and anchored into the stomach can be the beginning of disturbed digestion. The little one who has weak endurance will easily suffer from diarrhea, stomach aches and difficulty defecating. These health problems and endurance certainly affect other organs too, because the food consumed cannot be spread maximally. This is what will affect the learning process of the child. In a state of illness, his joy and interest in new things will immediately disappear. If it occurs for a long period of time, this will definitely greatly disrupt the learning process. the hat is why digestion has a very important role in the development of your child. Providing a nutrient-rich food intake for intelligence will be disrupted if digestion is in an unhealthy state. Therefore, Mam must pay more attention to the activities of your child whether inside or outside the home. Therefore, parents must fortify their digestion so that they are stronger and less susceptible to illness. Protecting your baby's digestion can be done by maintaining a balanced diet and a healthy lifestyle. Get used to your child to wash hands before eating and after from the bathroom. A regular and balanced diet can build a strong immune system so that your child does not get sick easily. Do not let the smart and smart actions of your little one be hampered, Mam!